What if one appliance could make your home more comfortable, lower your cooling and heating bill, produce more lighting, and add a decorating style and décor all at once? Would you be interested in such an appliance? Many people will be surprised to hear that the appliance is a time-tested, affordable ceiling fan. These appliances, which were invented in the late 1800s, began gaining more popularity in US households in the first half of 20th century thanks to their affordability. However, their popularity began to decline in the 1950’s after air conditioning units were introduced. The made a major comeback in the 1970’s when there was an energy crisis. Since then, they have become a constant fixture in most households and have improved both in style and quality. However, many people are concerned with the safety of ceiling fans since the modern ones come with other decorations and lightings making them heavier. So, many people are asking “Can a ceiling fan fall and hurt me?” While accidents can happen with just about anything, the simple answer to this question is; ceiling fans are safe and do not fall if installed right and secured as per manufacturer’s directions. A similar statement would apply to any number of appliances and machines that pose a potential danger in our everyday life without proper installation and maintenance. One of the main reason many people consider ceiling fans unsafe is that some do break free from the ceiling if not supported properly. To ensure this doesn’t happen, it is advisable to ensure the fan is well supported by a junction box listed for that use. Besides, you will also need to install a fan brace box. A junction box offers support for your fully assembled fan, but it is important to understand that it can exert extra forces causing the support to decline if it is not upgrades accordingly. When replacing your lighting fixtures with fans that have inbuilt lighting fittings, ensure the junction box is quality and strong enough to keep the fan in place. This means that even if the ceiling fan is mounted correctly and your ceiling is strong enough, your fan will still be wobbly. Such fans are not only unsafe because they can fall, but because they can loosen your ceiling as well as other lighting fixtures, and eventually, all of them might fall. To avoid wobbling of fans, you should ensure all the items are secured properly. Secure the fan with an electrical junction box that is listed for fan’s support. You should secure the screws tightly to the ceiling. You can tell if the blades are aligned properly by just pushing the blades manually after installing your fan. If you see any of the blades wobbling, make sure to align it into place. You can do this by bending the blade. 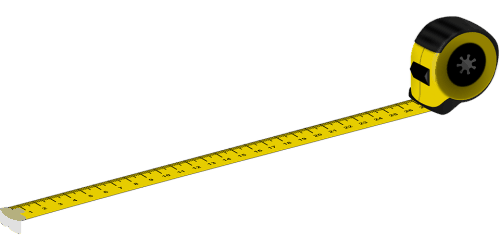 If the blades do not have equal lengths or are not equidistant, you can correct this as well. One last thing you should be keen on is the floor to ceiling distance. When you are installing a fan, make sure that no part of your fan is closer than seven feet from the ground. This will ensure that there is no inadvertent contact with the fan. 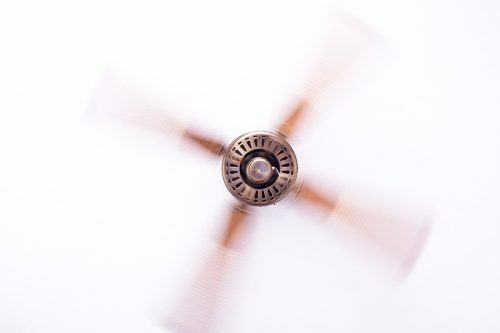 To maximize the descending air movement, set the fan blades at around 8 or 9 feet from the ground. If your ceiling is too high, set it to the best height by suspending it using a strong pipe. If your ceiling is lower than eight feet from the floor, you can opt for a low-profile fan model. Ensure to keep fan blades at least 18 inches from the walls. Ceiling fans are virtually 100 percent safe if installed the right way. Proper installation and maintenance of your fan are essential for keeping you and your family safe. Your best bet is to hire an expert electrician who has in-depth installation knowledge to eliminate the risk of wobbly fan or falling. Again, ceiling fans are safe appliances if installed properly.